A new summary of toxins in the Arctic shows contaminants, such as mercury, continue to threaten polar bears and whales. But new threats — both chemical and climatic — are emerging, says the report done for the eight nations that ring the North Pole. “The number and types of contaminants continue to broaden,” said Canadian scientist Robert Letcher, one of the lead authors of the study for the Arctic Council. The report on the biological effects of contaminants on animals from seals to seabirds was released late last week. It’s the latest in a series of assessments and is the most complete summary of research done between 2010 and 2017. Scientists have long known that many substances pumped into southern skies make their way to the North where they work their way throughout the Arctic food web and concentrate in large predators. Among the most common is mercury, a potent neurotoxin and a byproduct of burning coal. Some Canadian polar bear populations have among the highest levels of mercury in the world. More than one-third of bears in the Beaufort Sea region are considered at high risk of health effects from mercury. Mercury is also putting more than half the hooded seals in the Davis Strait at high risk. Also found are persistent organic pollutants (POPs), which can include dioxins and PCBs, as well as residual products from pesticides and other industrial chemicals. An international agreement signed in 2001 that now includes 179 countries attempts to limit their spread, but they’re still around. Killer whales along the northern British Columbia coast are at high risk of PCB-related health effects. So are polar bears along Hudson Bay and seabirds along the Davis Strait. “There are clearly hot spots in the Arctic when it comes to chemical stress impact,” Letcher said. Those regions include Hudson Bay, Baffin Bay and the Beaufort Sea. Climate change adds to the concern. Shrinking sea ice seems to be altering normal feeding patterns and shifting some animals to prey more prone to contamination. Hudson Bay polar bears are one example. “There is data that shows changes in levels over time in some contaminants are compounded by changes in the number of ice-free days,” said Letcher. As well, scientists are beginning to document a slew of new compounds including stain repellents, flame retardants and pharmaceuticals that are showing up in the Arctic. There are, so far, about 150 such compounds, said Letcher. Little is known about how they get to the North, how long they stick around or what they do — individually, in conjunction with other chemicals or over time. All the changes are taking place in a context of changing ocean chemistry. Carbon dioxide, already largely responsible for climate change, is also acidifying the world’s oceans and the Arctic is changing more quickly than most. 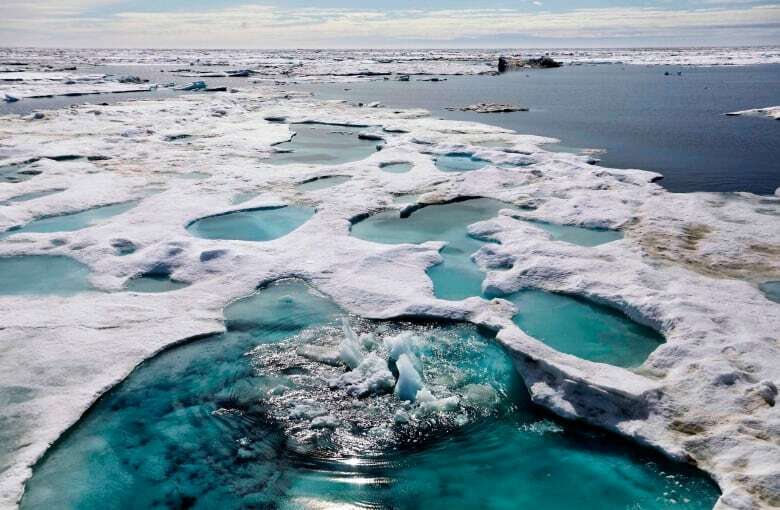 A separate Arctic Council report recently found the extent of affected waters in Canada’s Beaufort Sea had grown sixfold between 1994 and 2010. Letcher cautions the report can’t say chemical contamination is affecting the health of Arctic animals. There just isn’t enough data yet. For large parts of the Arctic — Russia, notably — there’s no data at all. But there’s enough for policy-makers to take note, he said, if for no other reason than who’s standing on top of the Arctic food chain.